78A-GA, Jalan Cahaya 2/6, Pandan Cahaya, 68000 Ampang, Sel. 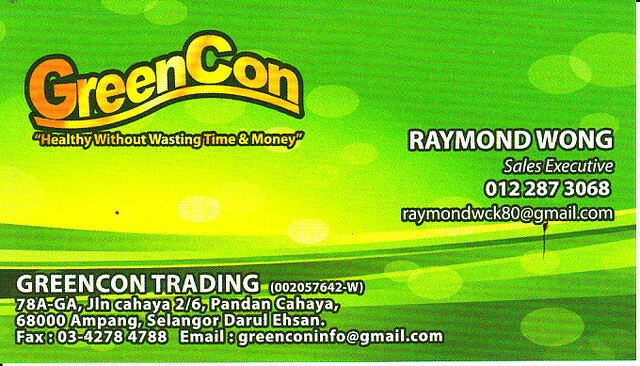 GREENCON is the leading doorstep car aircond service in town. Realizing the importance of time to all city dwellers, GREENCON came up with a service that does not require the customers to travel and waste their precious time. 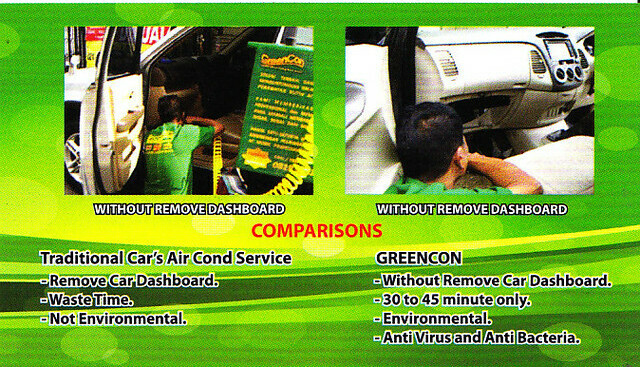 Now you can enjoy car aircond cleaning services right at the comfort of your own home. It’s fast, comfort, anti-bacterial and anti-virus! Using the latest purifying technology from Canada. Specialised in car wiring, timing belt, starter, car radio and tinted film. 30-0, Lorong Batu Nilam 3D, Bandar Bukit Tinggi, 41200 Klang, Selangor. Specialised in absorber, cooling coil, clutch plate, car battery and drive shaft. Specialised in car service, car air-cond service, car repair and compressor motor service. Specialised in alternator, power amplifier, speaker and car alarm. Specialised in car cushion and car painting. 29 & 31, Jalan Selingsing 4, Taman Sri Kuching, Off Jalan Kuching, 51200 KL.